Hello again, long time no see, well, almost....LOL I am back today to share a new card as part of the November My Favorite Things Teaser days and we are on day 3! Today it's all about our Clearly Sentimental line and I made a card with the newest set to come out, which is Clearly Sentimental about Christmas. Perfect time to pick up a pretty Christmas sentiment set, so let me entice you a little bit. Here is my pretty card. I know my papers are not really in the traditional Christmas color, but I really LOVE the way this turned out. 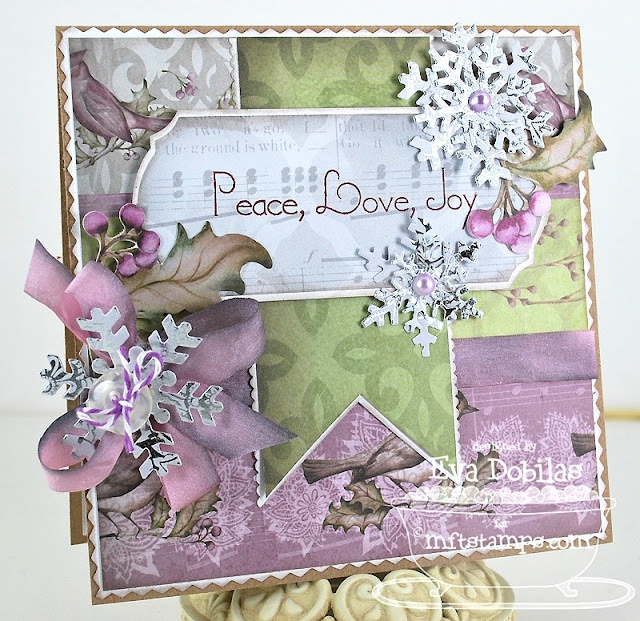 The paper line is called Winter Song by Christine Adolph of Creative Imaginations. 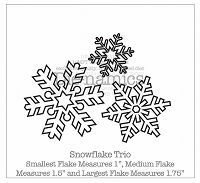 One of the papers in the line is a foiled paper, so I cut my snowflakes out of that. I thought it turned out quite beautiful, what do you think? And here is the inside of the card. Oh and did you notice our newest dies??? One of them is made specifically for the Clearly Sentimental line, so you can always fit your sentiments on it. That is what I used on the front of my card, and I also used it on the inside by layering it with another die. And how about that icicle die-namics??? Again, I just cut it out of the foiled paper, as it sure looks wintery to me.